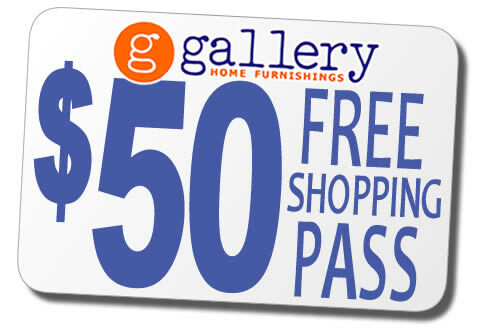 Thank you for joining the Gallery Home Furnishings "Preferred Customer Club". You have successfully been added to our email list. Make sure you check your email for special offers and sales designed exclusively for club members.